Years before a top sailor named Jack Aubrey, rising through the ranks of the British Navy during the Napoleonic Wars, joined forces with his best friend-an Irish-Spanish doctor, naturalist and spy called Stephen Maturin-to make the seas safe and profitable for the British Empire, another young spy named Richard Patrick Russ was falling in love with the sea. 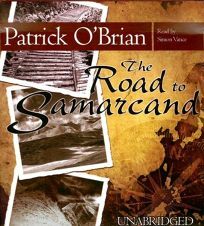 He began his long and eventually illustrious career after changing his name to Patrick O'Brien, and his first work of oceangoing adventure was this unformed but energetic tale of a teenaged American boy who goes on a dangerous voyage across the typhoon-tossed South China Sea. Originally published in the UK in 1954, this book's stateside debut was in 2007. Simon Vance, who has recorded almost all of O'Brien's work on audio, is perfect; he catches every vocal social nuance and foreign accent without veering into caricature. A Norton hardcover (Reviews, Apr. 16, 2007). (May).